When looking for a dental crown or dentures clinic in Etobicoke, it's important to choose the right dentist for you. Cosmetic dentistry is no less important than dentistry performed on natural teeth. Many procedures in cosmetic dentistry are popular treatments such as dentures, bridges and crowns. These procedures are quick, semi-permanent or permanent additions to your teeth. There are two types of dentures; Full Dentures, and Partial Dentures. Depending on the situation, your dentist will recommend what you need. Crowns act like a cap to your teeth, protecting them from further damage to restore shape and appearance when there is not enough tooth structure left to do extensive dental work. Bridges are made to replace missing teeth, bridging the gap of one or more missing teeth. A bridge is composed of two or more crowns on either side of the gap, which are called anchoring teeth. There are two types of dentures that a dentures clinic in Etobicoke will offer. Full dentures, and partial dentures. Full dentures are a complete set of teeth that are held in by suction. 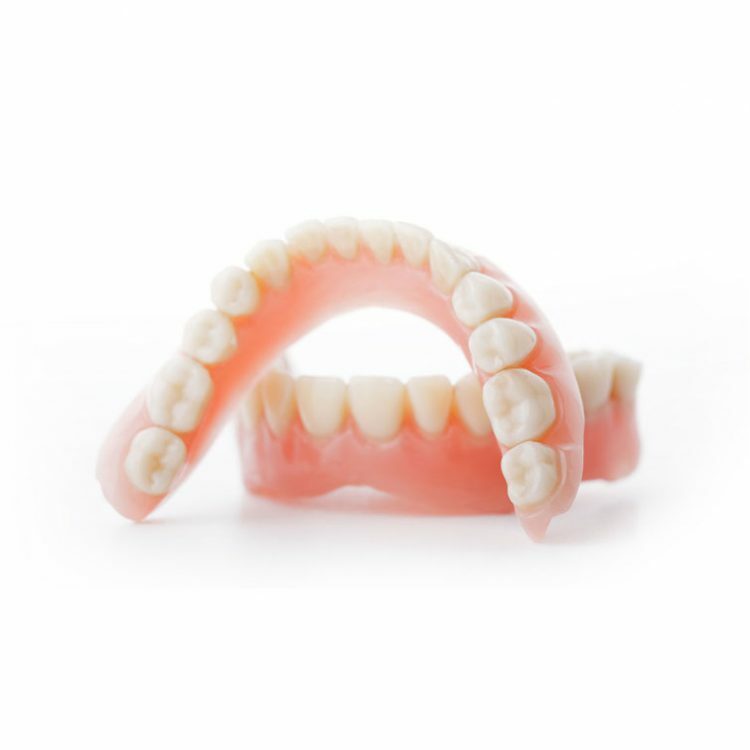 These dentures are completely removable and fitted for patients who have no natural teeth. The conventional type of full dentures allows the patient's mouth to heal after a complete tooth removal before it is placed, which can take several months. Full, temporary dentures can also be made in advance, placed in the mouth as soon as all of the teeth are extracted. These temporary dentures are a way to provide the patient with some relief while the final set of dentures can be created. Changes in your gums and jawbone that occur during the healing process after tooth extraction mean that temporary dentures may need to be adjusted frequently to accommodate. Partial dentures are often created for patients who still have and want to keep some of their natural teeth, but have gaps where some have been removed or lost. Partial dentures can be likened to a removable version of bridgework. The "teeth" are fixed in place to a gum-coloured base. This base is attached to a metal frame and connected to your existing teeth with clasps. Crowns act like a cap to your teeth, protecting them from further damage to restore shape and appearance when there is not enough tooth structure left to do extensive dental work. Crowns may be the only viable option for patients who have extensive damage to their teeth. Crowns are also one of the oldest cosmetic dentistry treatment options available in a dentures clinic in Etobicoke, right next to bridges. Crowns are often placed by cutting down any tooth material that is in the way and covering the entire tooth with a crown, which is much like a cap. This cap is often coloured the same as your natural teeth to avoid any spottiness. Bridges are made to replace missing teeth, bridging the gap of one or more missing teeth. A bridge is composed of two or more crowns on either side of the gap, which are called anchoring teeth. Bridges must be anchored and secured by these crowns attached to existing, natural teeth in order to avoid coming loose. A false tooth, or teeth, are then placed in the gap between the crowns. False teeth can sometimes be called pontics. Natural looking teeth are often made from porcelain or a composite material, while some people may opt for a false tooth made of gold or another metallic alloy.